As the garage tends to become a storage or workroom for many households, it is difficult to protect the garage floor from cracks and stains. Concrete slabs, while durable, also demand a lot of care and attention to sustain for the long haul. Therefore, the savvy homeowner should try to protect that floor as much and as effectively as possible. Thankfully, there are many options now available to do just that. While paint is not long lasting, it will protect your floor from staining, which in turn can preserve the integrity of the surface. However, you do not want to purchase just any paint. You should look for exterior and enamel-based paints because these offer a more durable finish that is longer lasting than other materials. Also, these are the safest paints to use on the concrete. While paint is nice, it does not last very long. 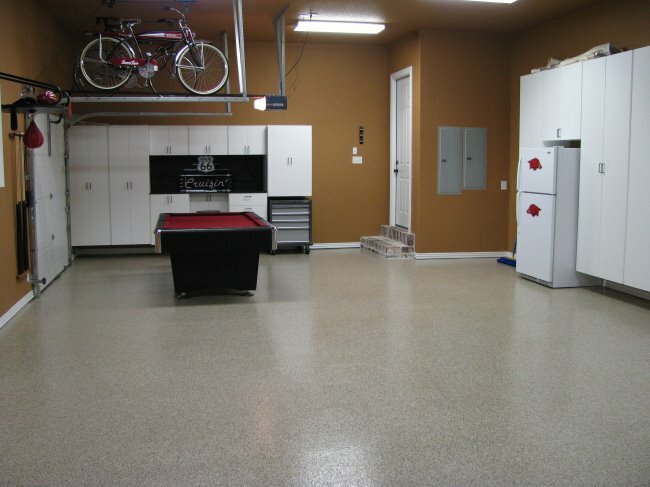 An epoxy garage floor, however, is more durable and will last longer as well. Epoxy coatings provide a hard, protective finish to your concrete that is nonporous and resistant to most damage. While not as all-inclusive as epoxy, garage mats can still provide a functional layer of protection. However, instead of covering the entire area, mats will only cover a small portion. The benefit of mats is that they are portable, meaning that they can be moved wherever you need them with ease. Interlocking tiles are another total covering option. Tiles essentially provide a layer of protection across your entire slab, protecting it from drops and falls. However, tiles are typically vented, meaning that they may not protect your floor from spills. 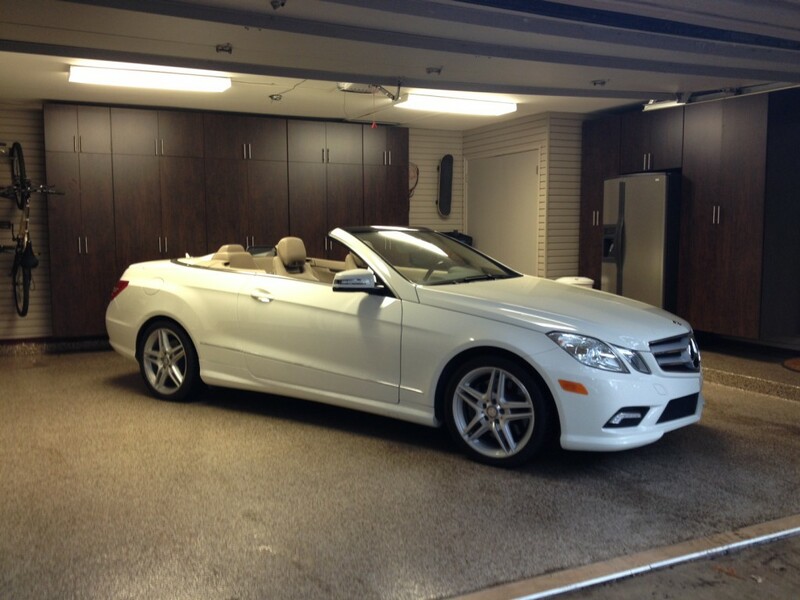 A garage floor is difficult to protect without adding some other material or substance. Mats and tiles provide some protection from damage, but they do not protect against all spills. Paint offers protection from spills but is limited with other types of damage. However, epoxy provides the durability of tiles and the coverage of paint. Talk to an installer to find out which option is best for you. A quick way to give your garage an uplifting appearance is by changing the flooring. Tiles offer an easy way to spruce up the space and get more out of the garage. Interlocking floor tiles are a durable option that is environmentally friendly and beautiful to gaze upon. The tiles make a great flooring option for your garage and other heavily used areas of your home. Despite the interlocking design, the tiles are extremely durable. They can withstand the weight of a vehicle and the constant movement of your equipment. Since the tiles are made for industrial use, they are perfect for the garage. 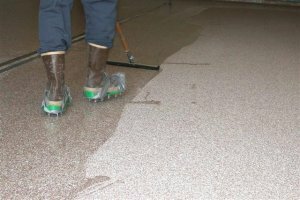 The slip-resistant material resists grease, dampness, water and oil. Simply wipe up your mess and you are good to go. The tiles are perfect for pets and children who are prone to slips and falls. The tiles are environmentally friendly using 100% recyclable PVC. The tiles require no maintenance saving you time and energy. No adhesives or glues are needed to install the tiles. They interlock together creating less waste and less hassle. The interlocking floor tiles cost less than other flooring options. Choose a color and pattern to add color and a unique design to the flooring. Your home space includes the garage whether you only park a car in there or work out in your home gym. Having a nice floor to walk upon when you enter the space makes it more inviting and a more natural extension of your living space. The colors and patterns you create with the tiles transform the space. Unlike those used in industrial applications, interlocking floor tiles for your garage are a great way to add a bit of personality to the often overlooked space. 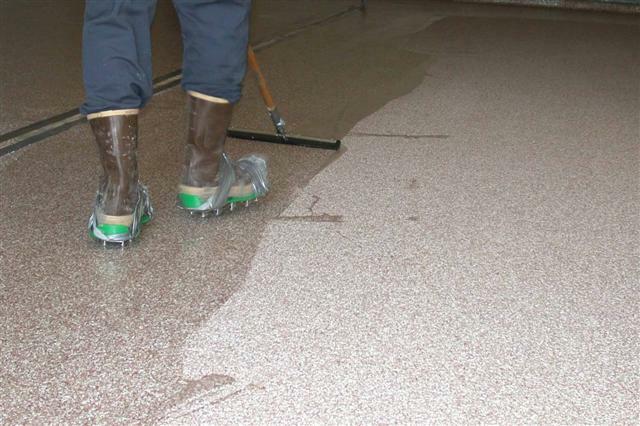 The concrete or stained floor looks better and adds a safety element when water or oil spills. Use the tiles in the garage, playroom or outdoor patio. 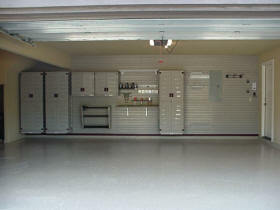 Many people utilize a garage as space to park cars or store household items. It may have very few items, or it may be overcrowded. 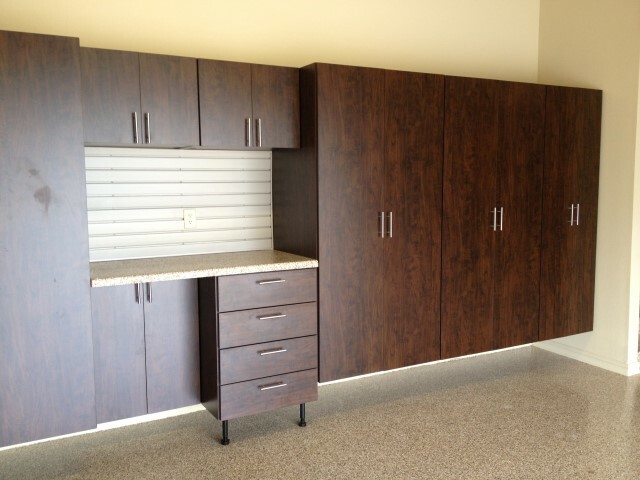 As overwhelming as organizing a garage might seem, the best organization tool to have is the right garage cabinets. With so many options available, how do you choose the ideal one? Two of the best choices for storage are wood or metal cabinetry. Choosing wood as a storage solution is ideal if you are looking for customization. 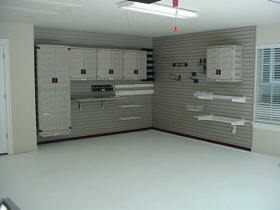 Garage cabinets made of high-density board are sturdy and high-quality. They can be cut and manufactured by a professional in a variety of lengths, widths and depths in order to fit your available space. These types of doors, drawers and shelves can be coated in melamine or may remain unfinished. This is the material to talk to a professional about if you are looking for a strong, sturdy and high-quality storage system. There is also an assortment of options when picking a metal cabinet. 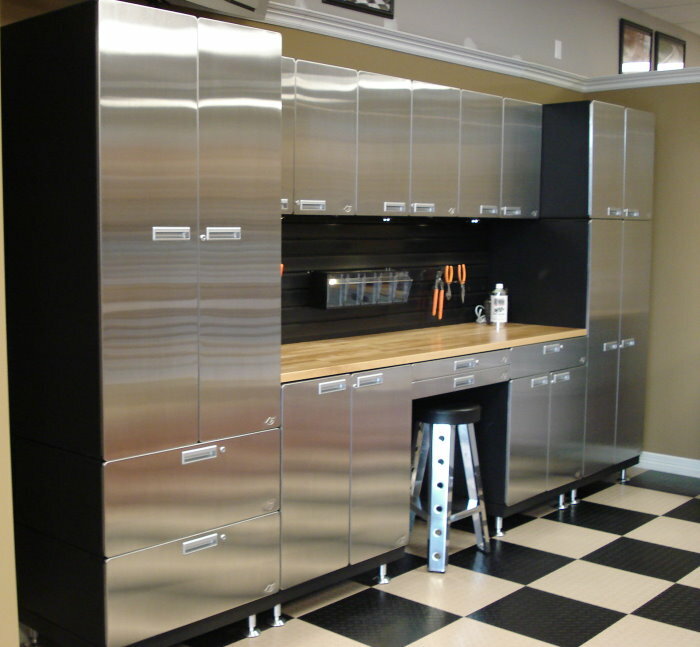 Metal cabinets are typically found in car shops and provide a sturdy surface to store heavy items. A professional will provide you with the premier options in metal shelving including powder coated steel, stainless steel and contoured all-metal cabinets. These durable options will provide you with a beautiful and unique style. 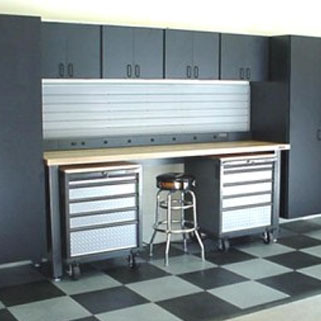 Garage cabinets are the perfect item in order to organize your items. The right cabinetry will be durable, strong, customizable and beautiful. They can be tailored to fit the needs of anyone from the owner of a car shop to a motorcycle enthusiast or someone who just wants to be able to find their items more easily. Wood or a metal shelving and cupboards put in by a professional will be installed properly and correctly utilize your space. 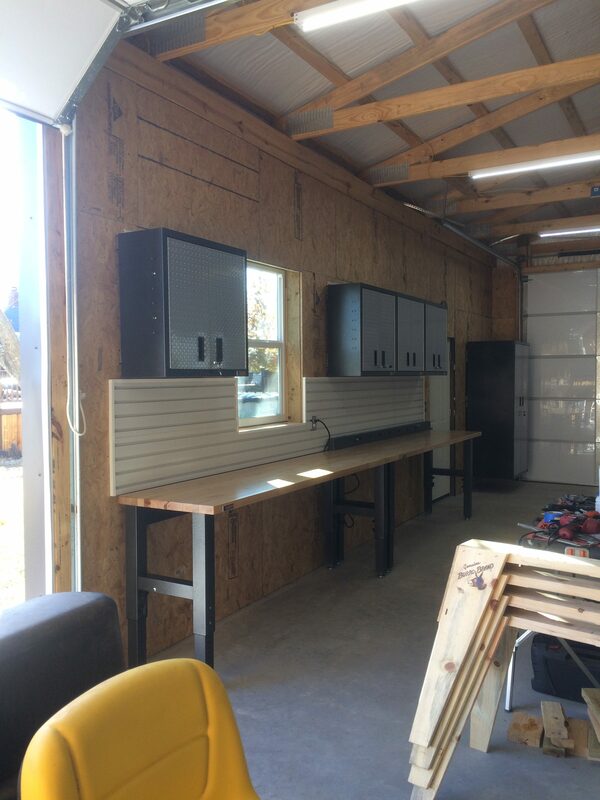 Do not hesitate to call in a contractor specializing in innovations for your garage today. 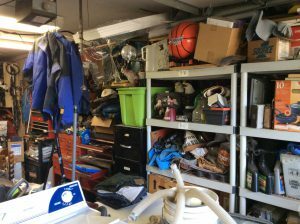 End the mess of a cluttered garage where you can’t find toys or tools or camping gear when you need it. 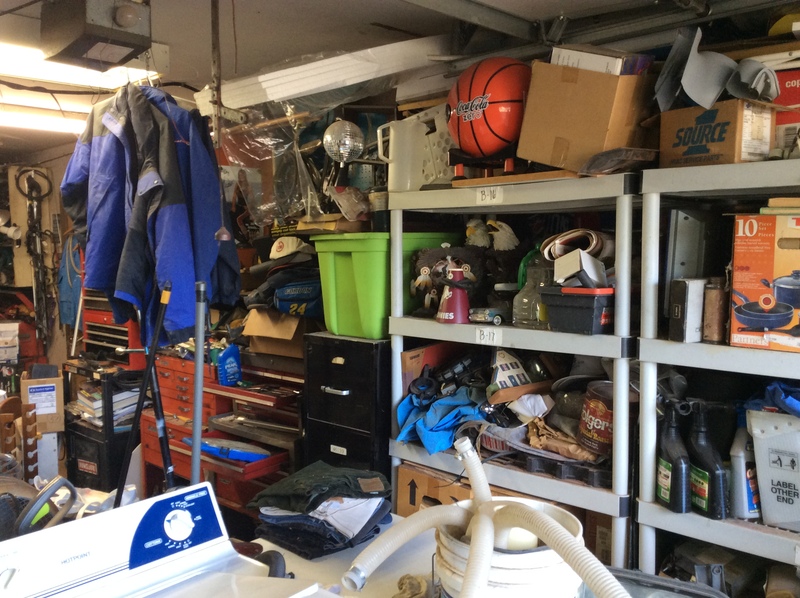 Garage organization is essential in garage just as much as your kitchen or bathroom. Knowing where everything is and being able to easily access it make utilizing your garage so much better. Don’t postpone organizing the garage any longer, so you can get to enjoying the things you love to do and make space to park a car while you’re at it.